Of all the illnesses in industrial society, diabetes takes the greatest toll. Over 100,000 people die from complications of diabetes each year. Another million lose quality of life due to metabolic syndrome. Diabetes adds $135 billion to the annual cost of healthcare in the U.S.1 Yet diabetes remains avoidable, treatable, and reversible. Do Hidden Opiates in Our Food Explain Food Addictions? Food addictions are not strictly “psychological” problems, but have a hard-wired, organic component. Many of the most commonly consumed foods in Western culture actually contain narcotic properties associated with the presence of psychoactive chemicals that bind to opioid receptors in the nervous system. Diet Milk with Aspartame, No Label Required, Really? Will aspartame in our milk be the new attractive 'diet' drink? 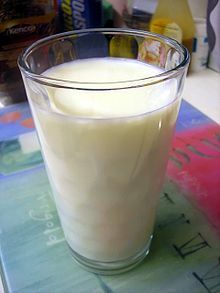 The latest debate with letting you know what is in the food consumed is designed to make milk the new attractive 'diet' drink, along with many milk products. Two of the Western world's most popular foods have been implicated in immune mediated brain damage. Could there be a food-based cure for schizophrenia, bipolar, and depressive disorders? Could two of the most popular foods consumed in the West be a major cause? Research has determined that a mother's drinking pasteurized, homogenized cow's milk during breastfeeding significantly increases the chances of her infant becoming allergic. The fight over rbGH (recombinant bovine growth hormone) continues, even under new ownership. After acquiring rbGH from Monsanto, Elanco (part of Eli Lilly) has stepped up efforts to convince milk processors and the wider food industry that milk from rbGH-injected cows is safe.